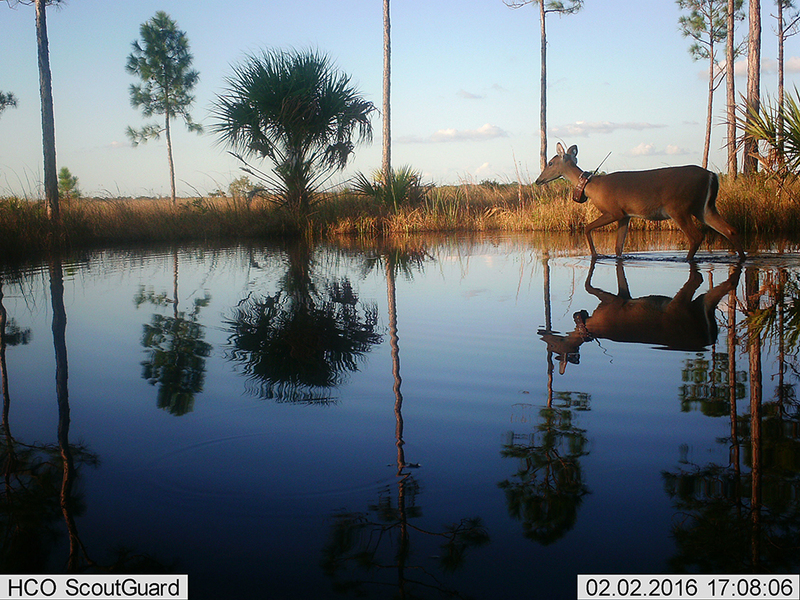 Monitoring deer through wet and dry seasons allows us to better understand how annual and seasonal hydrological changes impact deer movement, habitat use and survival. Throughout the state, white-tailed deer (Odocoileus virginianus) are one of the most valued and sought-after game species. In South Florida, deer are also the most important prey species of the endangered Florida panther (Puma concolor coryi). In recent years, particularly in the southern portion of the Big Cypress National Preserve (BCNP) and Everglades National Park, the area has experienced deer declines. Previous deer research in the BCNP region dates back to the early 1990s. Since that time, the area has changed significantly, including hydrological changes, an increase in the panther population, and changes in other predator populations. Therefore, there was a need for up-to-date information on deer survival and causes of mortality to better understand deer ecology in South Florida. In addition, there was a need for a cost-effective monitoring methodology for more reliable deer density estimates to guide long term management. The team has deployed 180 trail cameras throughout the study area. 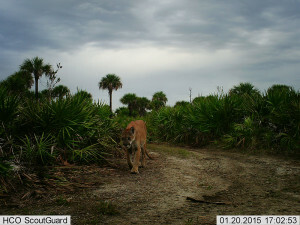 The cameras are used to develop a new survey technique for deer, but also to capture activity and other important information for a variety of wildlife species, including Florida panthers.